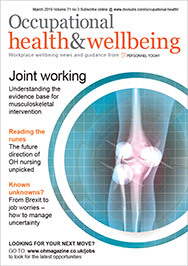 This month’s look at recent occupational health research papers covers work stress and heart disease, shift work and cognition and work-related neoplasia. Work stress significantly increases the risk of recurrent coronary heart disease (CHD) events, according to a systematic literature review. 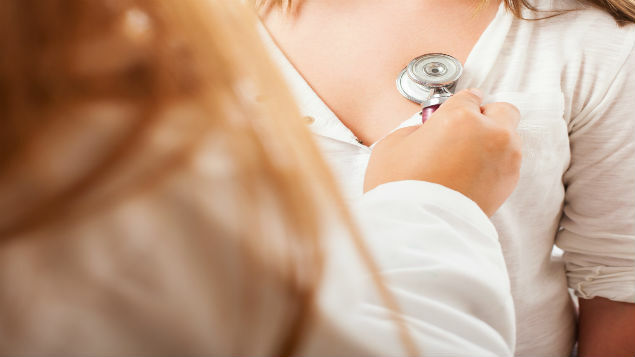 The study, based on five papers, suggests that work stress is associated with a 65% increased relative risk of recurrent CHD incidents in patients who have already experienced a first occurrence. The study’s measurement of work stress is based on the demand-control and effort-reward imbalance models. Li J et al. “Work stress and the risk of recurrent coronary heart disease events: a systematic review and meta-analysis”. International Journal of Occupational Medicine and Environmental Health, first published online 8 November 2014. The kidnapping of an employee is “one of the most challenging situations that an organisation can face”, according to an article in the latest issue of Counselling at Work. A kidnap crisis is fast-moving, chaotic and unpredictable, and a vital part of any crisis-management plan must be to support the family of the employee taken hostage. This may be obvious, but it is important in order to alleviate their suffering and also helps to ensure an effective organisational response to the situation: “A family left unsupported can negatively affect the organisation’s operational response to the kidnap and pose problems afterwards, whether or not the kidnap is resolved successfully,” the authors argue. Rudge P and Regel S. “Taken hostage”. Counselling at Work, first published Autumn 2014. Shift work chronically impairs cognition, with potentially important safety consequences for individuals and employers, according to a study of more than 3,000 employed and retired workers. Using speed and memory tests, the researchers found that the association between shift work and loss of cognition was strongest among those who had worked shifts for more than 10 years. A cognitive loss equivalent to 6.5 years of age-related decline was observed in the current cohort. Recovering this loss in cognitive function takes at least five years once shift work ceases, the researchers concluded. Marquie J-C et al. “Chronic effects of shift work on cognition: findings from the VISAT longitudinal study”. Occupational & Environmental Medicine, first published online 3 November 2014. The non-medical use of prescription pain relief by employees can be a serious problem for employers. Little is known about which industries or occupations are at the highest risk of misuse. A recent study attempts to compare industries and to identify significant differences in rates of prescription pain relief misuse, concluding that these cannot be explained by basic demographic factors, but more likely by factors relating to the work context and requirements. Workplace Behavioural Health, vol. 29, issue 4, 2014. Family doctors are encouraged to take account of their patients’ occupations during consultations, particularly if individuals are of working age and not at work due to a health-related reason. An audit of general practice in Cornwall finds that the recording of patients’ occupations remains infrequent and inconsistent; in one practice audited by the researchers, only 1% of records had the patient’s occupation recorded and coded. A separate survey found that 90% of individual GPs agree that it is important to record occupations, suggesting a significant gap between theory and practice. Thorley K et al. “Recording occupation in general practice – a second cycle audit”. Occupational Medicine, first published online 13 November 2014. The vast majority of work-related skin neoplasia cases are linked to sun/sunlight/ultraviolet light, according to a study of cases reported as part of a surveillance scheme by UK clinical specialists in dermatology between 1996 and 2012. Most of the cases reported were in males (91%) and the majority of affected employees (62%) were aged over 65 at the time of reporting. The median time from exposure to symptom onset was 44 years for melanoma and 57 years for squamous cell carcinoma. Turner S et al. “Investigating work-related neoplasia associated with solar radiation”. Occupational Medicine, first published online 24 November 2014. A number of countries have produced practice guidelines on how best to address work-related mental ill health, but these are difficult to track down and vary greatly in quality, according to a comparison of 14 sets of guidelines from countries including Japan, Korea and the UK. Most of the guidelines explored by the researchers recommend using an inventory of symptoms, diagnostic classification, performance problems and workplace factors. All suggest specific return-to-work interventions. However, “key recommendations were often difficult to identify”, the authors suggest. Joosen MCW et al. “An international comparison of occupational health guidelines for the management of mental disorders and stress-related psychological symptoms”. Occupational & Environmental Medicine, first published online 18 November 2014.